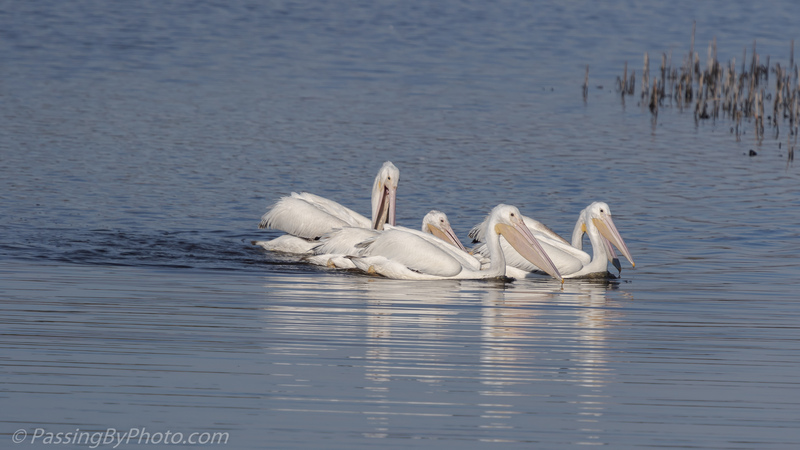 Groups of White Pelicans tend to stick together when they feed, paddling along slowly and scooping up fish. 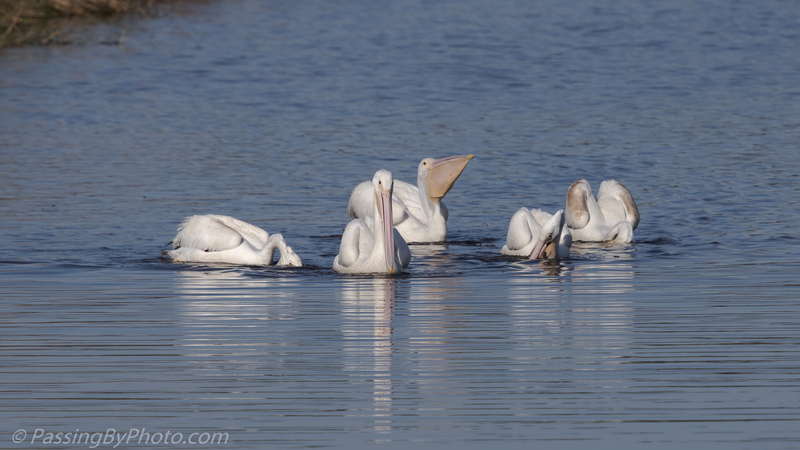 No crazy diving antics like the Brown Pelicans for the White Pelicans, but they look just as goofy. 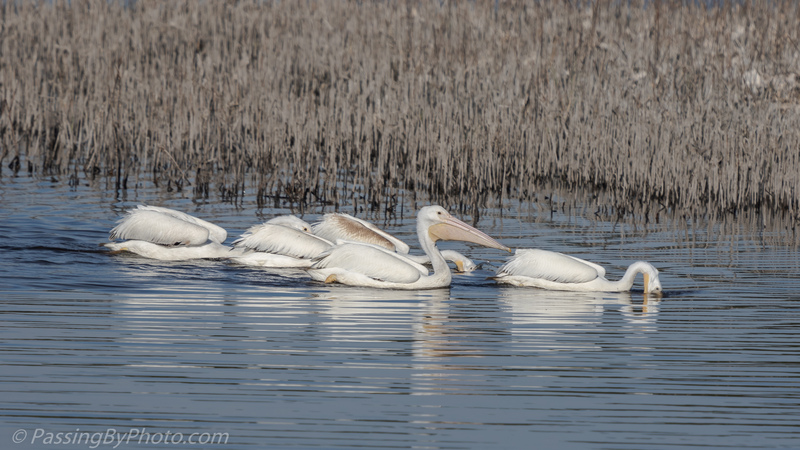 This group followed the edge of the marsh reeds, which doesn’t make an attractive image now that the vegetation has died back, but probably the fish like to be around the stems. These two kept going making a nice ripple in the water while the rest of the group turned back. 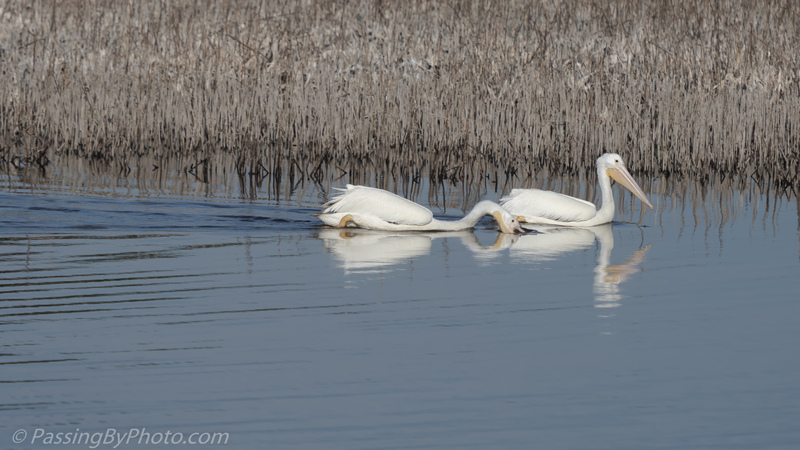 What amazing looking birds, nice photos Ellen! Are they year round residents in your area? Thanks, Belinda! They are not year round. We start seeing them in late fall and I’m not sure how long they stay around.